Earlier on Friday, Pakistan also violated ceasefire in Sawjian sector of Jammu and Kashmir’s Poonch district. No casualties were reported in the unprovoked firing by the neighbouring country. Pakistan resorted to shelling with mortars along the LoC. 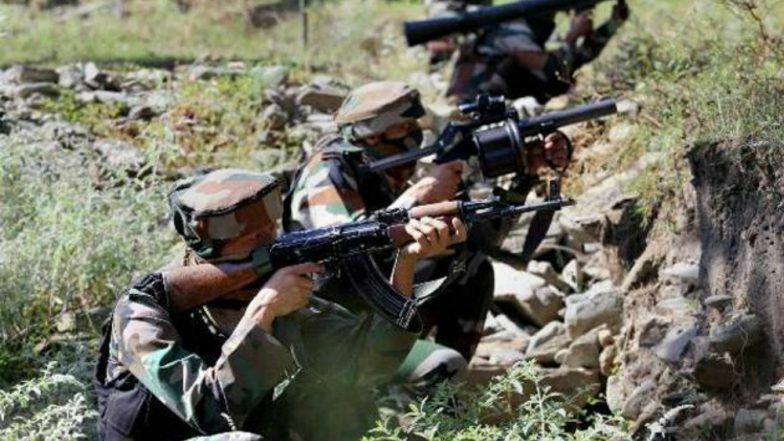 On April 1 also, Pakistani Rangers resorted unprovoked firing in Mankote and Krishna Ghati sectors of Poonch. One BSF (Border Security Force) officer was martyred in the cross-border firing. A six-year-old minor was killed in the shelling. Meanwhile yesterday, Lt Gen Paramjit Singh, General-Officer-Commanding (GOC) 16 Corps told reporters in Rajouri, “513 ceasefire violations by Pakistan have taken place along the Line of Control, in the last one and a half month. Pakistan used heavy weaponry over 100 times during these violations.” The GOC 16 Corps further added that whenever Pakistan carried out such violations, the Indian Army also retaliated effectively.